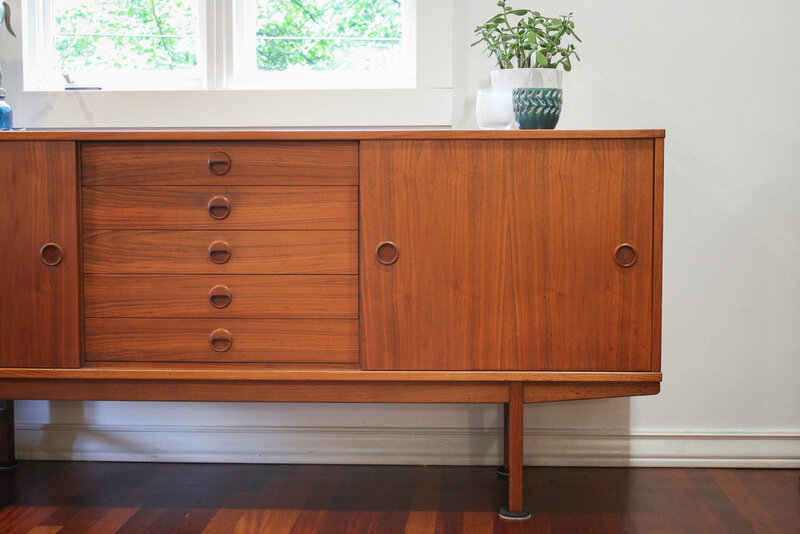 Stunning teak credenza designed by Yngve Ekstrom for DUX, Sweden, circa 1950's. This sideboard features left and right sliding doors with interior adjustable shelving, and five center drawers. 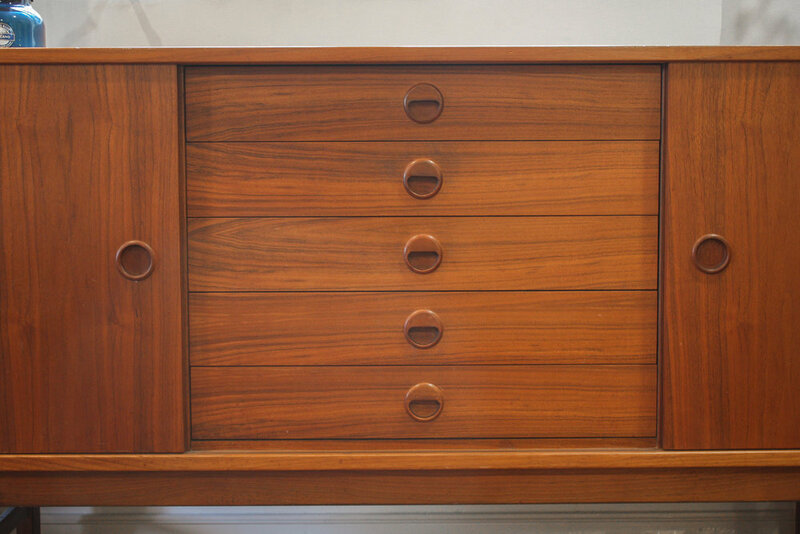 In very good vintage condition, slight fading where hutch top rested. 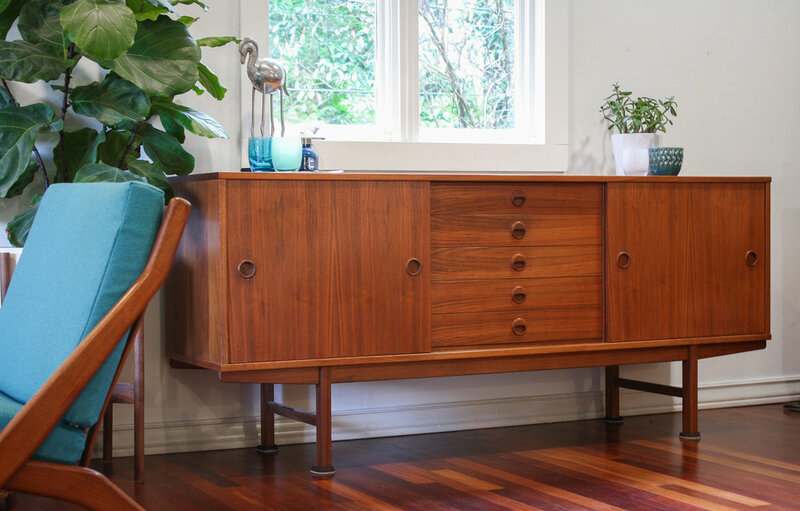 Nicely aged with warm patina, and minimal signs of use expected with any piece thats over 50 years old. Take a look at the photos as they show how stunning this piece is. w 71.25" | d 18.5" | h 331.125"